During the season of Advent, Shadyside Presbyterian Church invites you to join us on Wednesdays at 7:00 p.m. for an evening of music and reflection in our Sanctuary. These 45-minute candlelight Communion services include a homilies from Pittsburgh Theological Seminary professors, the celebration of the Lord’s Supper, and music offered by the Shadyside Strings, Chatham Baroque, and the Pittsburgh Girls Choir. Childcare is available. On Wednesday, December 19, we welcome the Reverend Dr. Steven Tuell as our guest preacher. Rev. 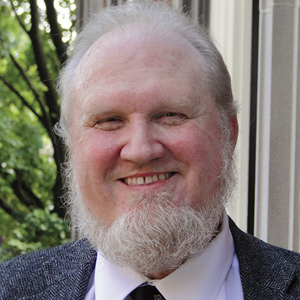 Dr. Tuell is the James A. Kelso Professor of Hebrew and Old Testament at Pittsburgh Theological Seminary. He will deliver a homily titled, “You Can’t Always Get What You Want,” based on the Scripture passage of Micah 5:2-6. Learn more about Rev. Dr. Tuell or view a short video featuring his work at the seminary. You may also read more about his forthcoming writings.